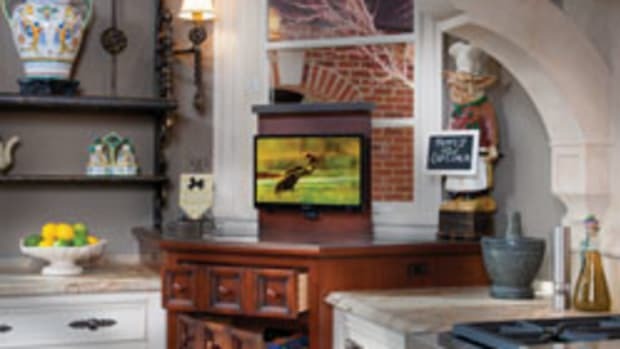 Thanks to the Kitchen and Bath Design Trends Survey for 2011 conducted by the National Kitchen & Bath Association, professional woodworkers can get a little taste of what their clients might expect in regard to custom touches in their homes this year. 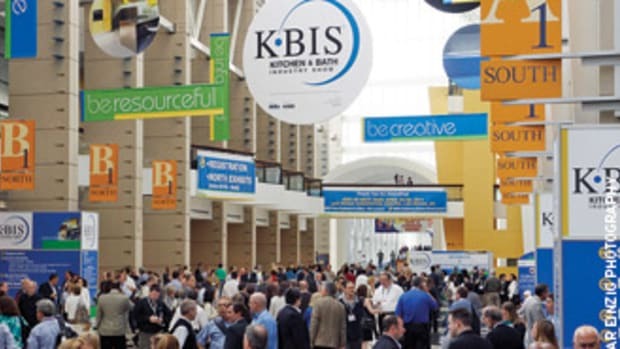 The survey was designed by the NKBA to reveal the 2011 projected design trends in the U.S. and Canada for professionals in the design and build industry. 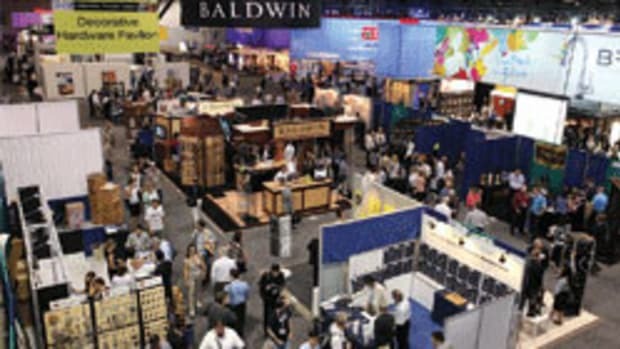 More than 100 NKBA members/designers participated during the final three months of 2010. To begin with, more consumers are gravitating towards implementing the Shaker style into their kitchen cabinetry units, which NKBA president David Alderman describes as a blend between traditional and contemporary styles. 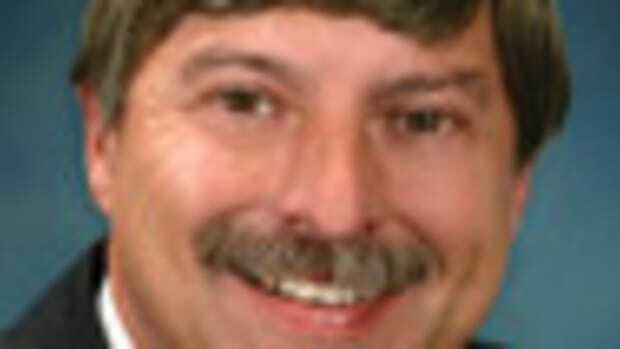 "I think Shaker offers a mental place of retreat for some. It has its roots in the Hoosier cabinet, made by the Hoosier Manufacturing Co. back in the &apos;20s. Many of us remember it in Grandma&apos;s house, which was always a place of security," he says. The Shaker style first saw a rise in popularity in 2009. It still ranks second to traditional, while the cottage style ranks third. 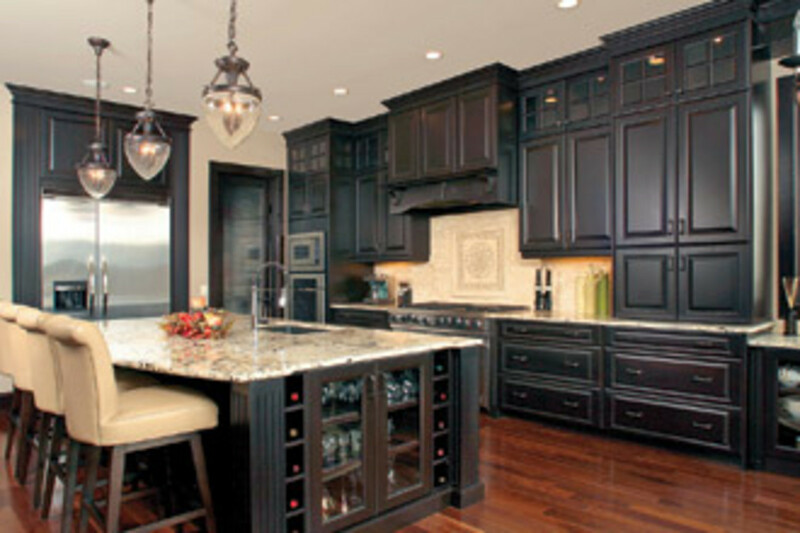 Dark finishes scored highest in the survey, which also noted that natural finishes overtook medium-natural-glazed and white-painted finishes to become the most specified type of finish toward the end of 2010. Light-natural and colored-painted finishes remained fairly common, as each rose slightly from the previous year. Distressed finishes dropped significantly from a year ago, when they were used by 16 percent of designers, to just 5 percent. "I don&apos;t see a lot of entirely dark kitchens, but I do see a lot of dark accent pieces in the design. For example, antique-white-glazed kitchen with ash glaze. But we&apos;ll do a black island or a cherry island, which is a darker color, as an accent piece," says Alderman. He emphasizes that stains - light, medium and dark - are all becoming more popular than paint. "The stain preferences are across the board, but the stains are gaining more traction in the designs over the paint. On one hand, I think people prefer seeing the wood through the finish. Also, I think people fear choosing paint because of the cracking you can get. That&apos;s not because the finish is failing, but because the wood expands and contracts. You still get the same cracking in a stained wood, but you don&apos;t see it as easily." Maple was the clear winner in the wood category. "I think it&apos;s the No. 1 wood because it&apos;s very versatile. It can be painted or stained, it&apos;s moderately priced, it&apos;s durable and it has a fine grain like cherry or alder," says Alderman. While the incorporation of wine refrigerators seems to be on the decline, unchilled wine storage is growing in popularity. 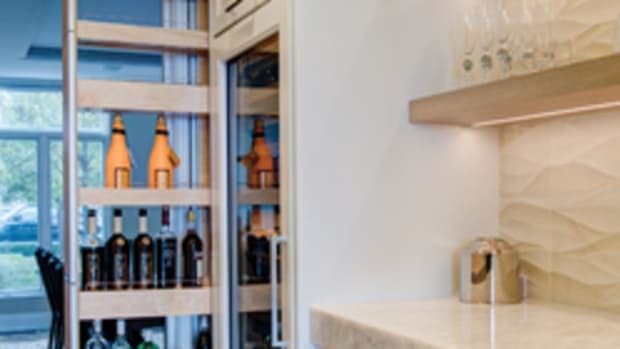 While only 39 percent of surveyed designers incorporated unchilled wine storage areas into their kitchens at the end of 2009, a little more than half did so as 2010 came to a close. "Wine refrigerators are losing a little bit of traction this year and that probably has to do with consumers&apos; budgets. People cannot justify spending $900 or more on an appliance that can only be used for one thing." French-door refrigerators have become more popular as the side-by-side style is ideal for limited space. Alderman suspects this trend will continue as kitchen footprints continually decrease to make homes affordable. Kitchen islands are still very much in demand, according to the survey. "I think islands are very much desired by consumers because it gives them a central convenience place for food preparation, for kids to do homework, for people to socialize or to serve a buffet," adds Alderman. Alderman predicts appliance manufacturers will continue to push the envelope by integrating technology with features like touch screens. "The induction cooktop is something that&apos;s probably going to take over in the next three to five years, just because it&apos;s extremely energy-efficient," says Alderman. "Another trend woodworkers need to pay attention to as far as appliances go is the demand for wood exhaust hoods over the stove. I&apos;d say as high as 60 percent of consumers would incorporate a wood hood in their design if they had the space. A lot of times they just don&apos;t have the space to do it. I think if woodworkers can come up with a standard hood as their trademark, they could probably incorporate that into a lot of their kitchen designs." The survey indicates that a greater emphasis is being made to address disposal of garbage and recyclables. 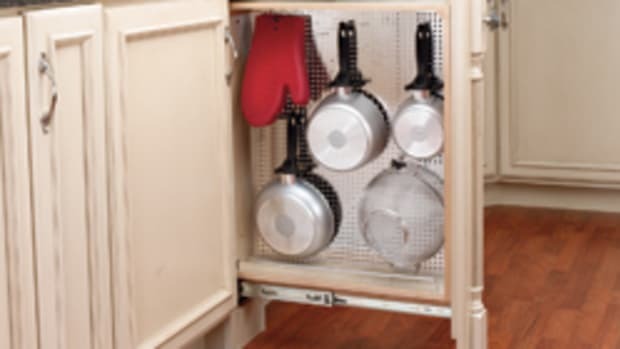 "Consumers are tired of tripping over their trash cans in the middle of the kitchen. They not only want a place that they can put their trash, but their recyclables. So we&apos;re seeing a lot of double trash cans being used: one for garbage, one for recycling." 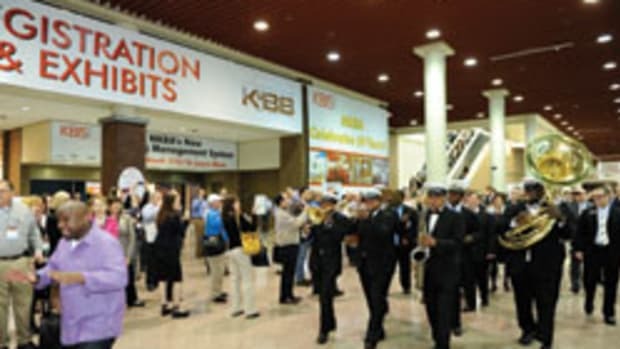 Nearly 90 percent of kitchens designed by NKBA members in the final quarter of 2010 include trash or recycling pullouts. In addition, garbage disposals were incorporated by 86 percent of designers, up from 75 percent the previous year. Trash compactors have also become more common. While 50 percent of the designers surveyed in 2009 used incandescent bulbs, only 35 percent did so in 2010. Instead, designers are clearly opting for more energy-efficient lighting options such as LEDs. "LED lighting is gaining a lot of traction in kitchens, not only because it&apos;s extremely energy-efficient, but I think the output of the bulbs has greatly improved to make any colors on the countertop just pop," says Alderman. The color green is showing up in more bathrooms, though it still trails white, off-white, beige and brown as the most commonly used colors. 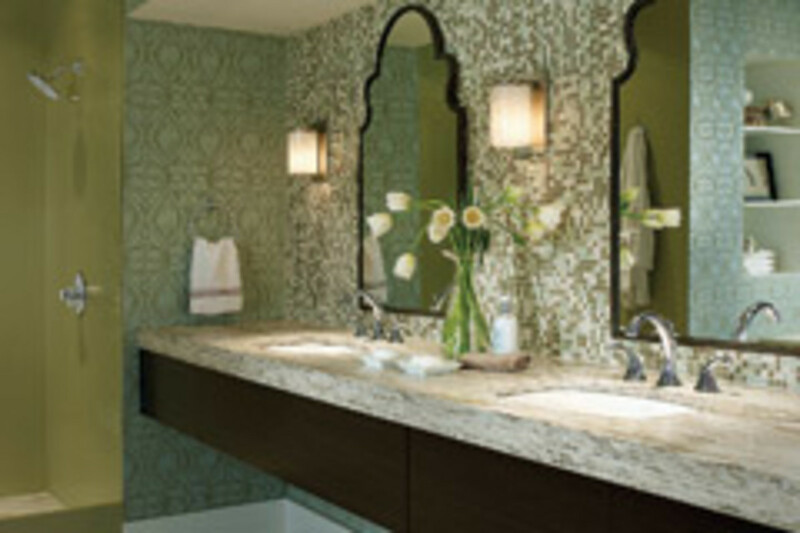 In 2009, 85 percent of NKBA bath designers incorporated both granite and quartz into their designs. The percentages in 2010 were 83 percent for granite and 54 percent for quartz. The undermount style is the most popular sink, replacing the vessel sink. Consumers are clearly looking for a furniture look in the bathroom, says Alderman, especially with a lot of drawers to maximize storage space. Satin nickel is the No. 1 faucet finish for bathrooms and kitchens, followed by bronze, oil-rubbed bronze, polished chrome and polished nickel. And the bathroom is no longer a solitary refuge. "Televisions in the bathroom are almost a must now; not because people watch TV, but because they listen to TV in the morning. They usually want a flat screen," says Alderman.